Tea is not only delicious but can also be very therapeutic. It is no wonder that there are many tea lovers out there. And for those tea lovers, we have picked out 8 tea infusers to make the tea drinking experience even more pleasant. These creative tea infusers replace the boring spherical and conical shaped infusers with unique, cute, and cool-looking designs. And of course, they are not just for looks but these infusers do their job well too. Its design and function that makes these the items for a tea lover! I pity the fool who thinks of tea as simply just leaf water! There is so much more to this-flavor packed drink. Mr. Tea makes getting that flavor as simple as hanging, with a bit of extra fun added for good measure! Stuff his pants with your choice of tea leaves and then simply dip him into your cup of hot water. This little man’s pants are made from food-safe, tasteless, soft silicone rubber, leaving you with just the deliciousness only your choice of tea leaves can bring you. It’s nothing but happiness as even simply seeing Mr. Tea hang from your cup is enough to bring a smile to your face! 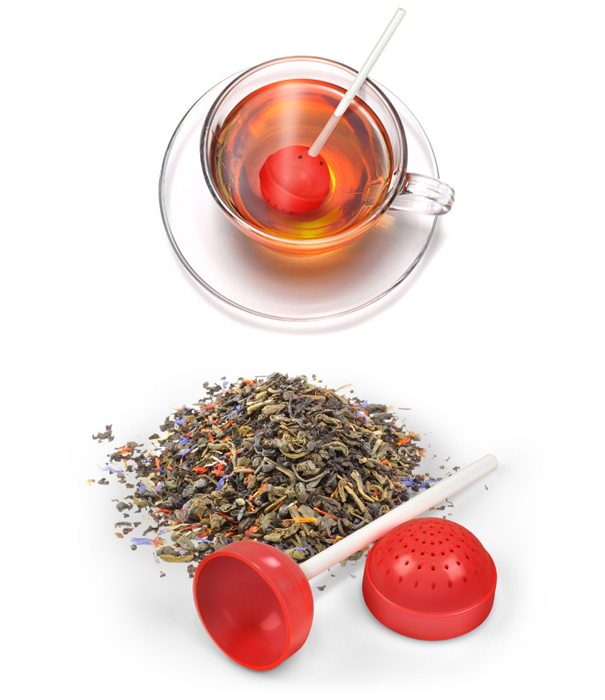 DIMENSIONS: 3.25" x 2.5" x 1"
Take the dip with the fun and functional Deep Tea Diver Tea Infuser. Create oceans of flavor by submerging the diver into a hot cup of water or even a teapot after popping open the wetsuit and stuffing it with your tea leaves, preferably large leaves with this infuser. The stainless steel “air tank” not only completes the cuteness factor of this mini diver but it also serves as a counterweight to immerse the diver even further in your pot! 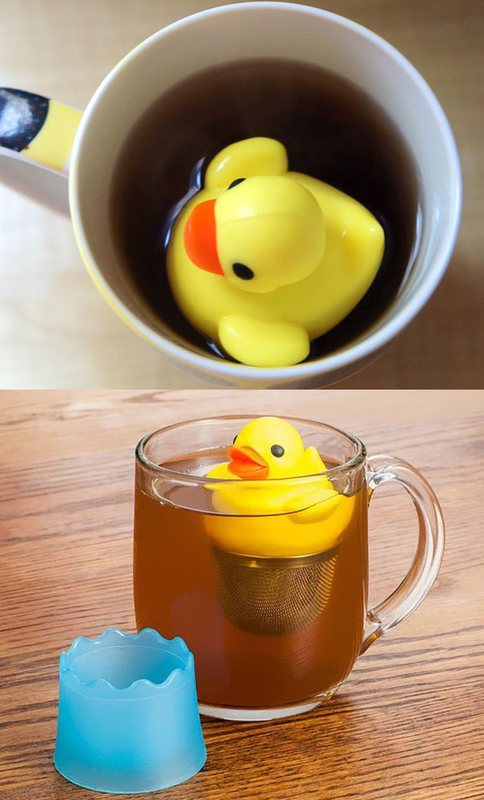 Let the adorable little rubber duckie do its job as it floats atop the water prepared and readied to be infused. This duckie comes with a mesh basket underneath its belly to hold your tea leaves. When the duckie is done going for a swim, the drip cup makes a great convenient stand to rest the duckie on. Make yourself or the tea lover in your life happy to be handed lemons because when life hands you this lemon wedge, you can make tea! 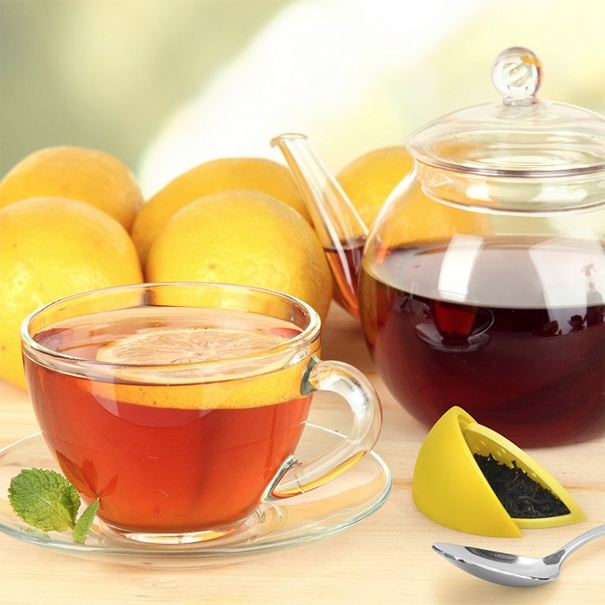 Tuck your leaves inside the vibrant yellow, food-safe silicone lemon wedge and your tea will be ready to enjoy soon after. 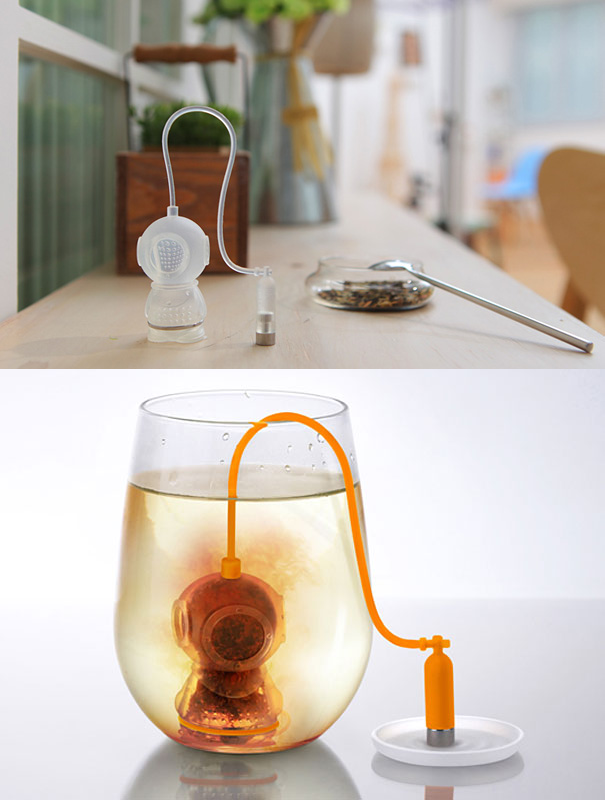 Though this lollipop shaped tea infuser won’t be satisfying anyones sweet tooth, it makes for a perfectly sweet gift! The lollipop opens up to hold your loose tea leaves and from there just pop it into your teacup. The T-Rex may have been a widely feared carnivore during its reign in prehistoric times, but it is back now and what it demands is vegetation – tea leaves to be exact. The reborn Tea-Rex is beautifully and intelligently designed with holes that bring life to your water with your choice of tea leaves. Feed the Tea-Rex the leaves through its removable head, attach again, and let it go for a dip. 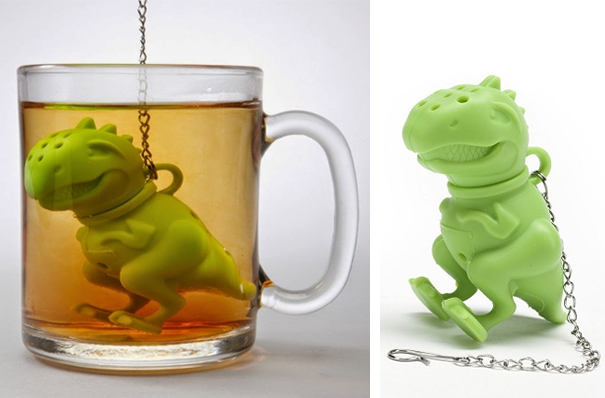 The Tea-Rex is made from plastic and the chain attached to its back makes for easy hanging and retrieving. Add a little danger to your life and throw this shark into the water which you make your tea from. 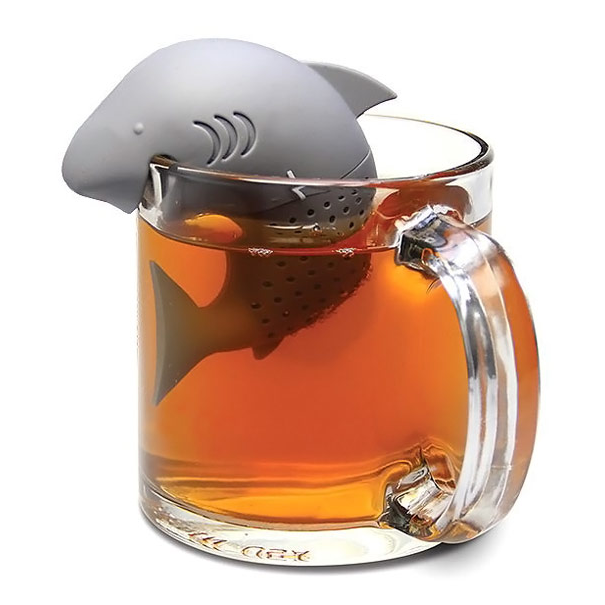 The cute and clever design allows you to hang the shark from its mouth to attach it to your cup while it does the job of infusing the tea. No need to worry though, the waters are safe to venture even with the silicon made shark chomping onto your cup. Fond memories of the holidays are always in season. 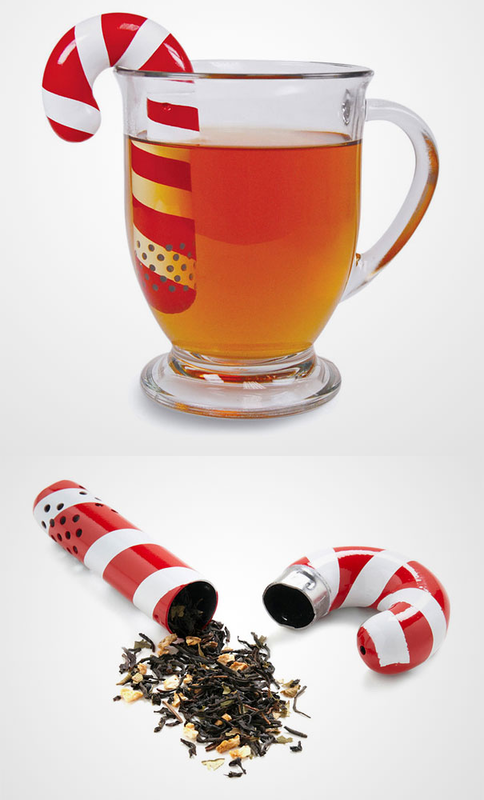 This candy cane themed tea infuser brings joy to your life not just in December but any day of the year! The stainless steel cane is made to hang from the side of your cup while it readies the sweetness and joy that a cup of tea brings. This gentle creature is here to adorably hang from your cup and ready your tea. The Manatea Infuser adds to the relaxing tea time experience with its fun design that is sure to make the experience that much more pleasant. 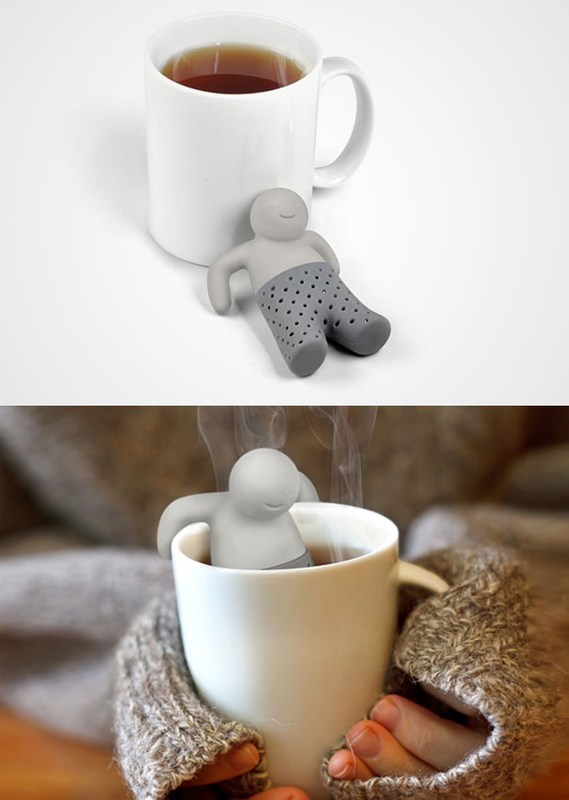 Making tea has never been so cute! 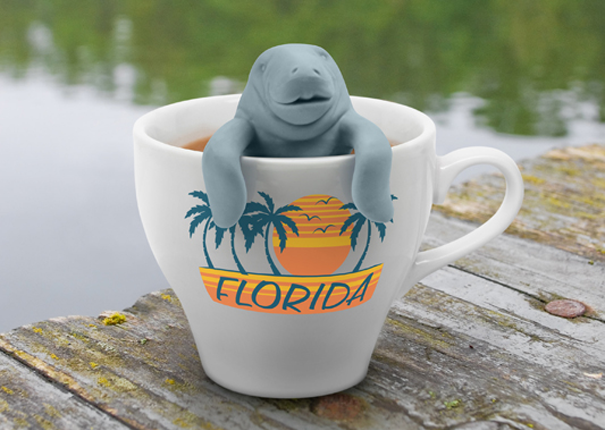 The manatea is made from BPA free, silicone rubber (not actual manatees!) so theres no need to worry. This post is brought to you by the atmost20 team, a team who shares an enthusiasm for cool items and who also have a knack for hunting them down on the internet. The team’s recommendations of items are here for your convenience and we hope you are equally excited about the stuff we collect to share with you. When you buy an item we feature, we may also get a share of the sale. This means we can keep bringing you awesome items at a price that’s even more awesome. At atmost20, items will always be ... wait for it ... at most 20!